Look them over....if you are COMMITTED TO SUCCEEDING and learning the ropes of internet marketing....I WANT YOU TO JOIN THESE PROGRAMS UNDER ME. Learn & take action.....right now. Your Future Is UNSTOPPABLE.....and In Your Hands. The other day someone asked me about the most effective use of a mentor, so here is a note everyone should read and let sink in. Really think about what I say here. Most people fail to realize it but the main purpose of a mentor is to teach a complete set of tools to build a large database of prospects. Armed with that data you can then very selectively decide (meaning target) exactly who to contact to initiate a relationship. You do NOT simply bang someone over the head with your biz opp. That doesn't work. The stats are pretty clear about that point. How many things have YOU joined via a message to your inbox? What you need to do is establish contact and develop some rapport. Everything after that will fall into place if done correctly. Did you know that most people in network marketing attempt to educate people in order to excite them in order to sponsor them in to their business? The "fruit on the tree" is about 2-3% are successful and build large teams. In other words the HUGE majority of people are unsuccessful at network marketing. Obviously something is wrong with the traditional model, a "system" designed and taught over and over (duplication of failure) which spits out such dismal stats. Don't fret too much about it though because not only do I know what the problem is, I know what the solution is and have proven it. Heads are turning everywhere wondering "What is going on with Maurie J. Campanella?" and "How is he doing it?" More importantly though, it's not just me. Every single person who does what I do gets the same GREAT result. Curious? Well, get in line. You're just going to have to talk to me about it via Skype or phone. I don't broadcast details and I won't be doing group type calls until January or February, maybe even March. As always, yours in prosperity. 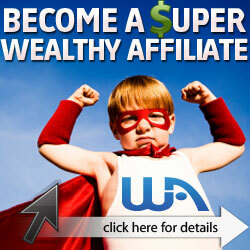 You need to be a member of Affiliate Marketing Incubator to add comments!